The Department of Biotechnology & Biochemical Engineering is a diverse and powerful faculty encompassing unique expertise in biochemical and molecular life sciences. The School is recognized nationally as well as internationally for its research quality and output and for training students to be industry-ready professionals. The graduates show peer-recognized expertise, sustained learning and adapting to an ever-changing domain of professional development and entrepreneurship. The course broadly encompasses the study of the molecular processes of living systems and organisms. Specific areas include biological chemistry, metabolism, enzymatics, structural biology, molecular cell biology, molecular genetics, genomics, proteomics, bioinformatics and systems biology. Started in 2002, the Department of Biotechnology & Biochemical Engineering, has in a short span of time, established a unparalleled reputation in teaching and research. Having collaborations with DBT, AYUSH, Oushadhi, Universiti Sains Malaysia and various other reputed institutions, the department actively nurtures manpower development by offering 4-year B.Tech (Biotechnology & Biochemical Engineering) and 2-year M.Tech (Biotechnology& Biochemical Engineering) courses. The highly competent and experienced faculties, with 4 PhDs and 7 M.Techs/MSc-M.Phil, have inspired excellence, innovation and strong entrepreneurial skills. The students are exposed to domain-experts by way of attending to seminars, symposiums, workshops and conferences at national and international levels. The department has 2 specialized laboratories with modern equipments and qualified lab staffs for training the students. The students engage in carrying out in-house projects under the guidance of our dedicated faculties, which help them, foster scientific temper and technology-driven innovation. 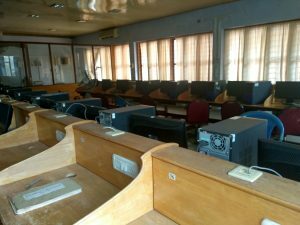 The students are further empowered with a department library with over 1500 reference books and international journals, as well as, a sophisticated computer lab enabled with internet connection. The extracurricular and nascent skills of the students are nurtured by the activities of the department association, BUDS. The Biotechnology career advancement and reorientation facility funded by the department of biotechnology, Govt of india, is a dedicated bionanotechnology research centre in the department. The centre trains students in various aspects of nanotechnology and sensors and is equipped with sophisticated analytical facilities that nurture quality research.The key areas of research & development activities of the department focus on molecular diagnostics, nanotechnology, biochemical engineering, bioprocessing and biofuel technology. Notably, the institution has funded a project on human genome mapping of ethnic populations in Kerala to unravel the historical perspective of anthropological origin of races. The research findings have been published in international journals. 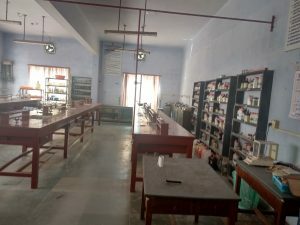 The present infrastructure of the department includes PCR, Blotting apparatus, gel documentation, Biofermenter, trinocular research microscope, Inverted phase contrast microscope and magnified imaging system, deep freezers (-70◦C and -20◦C), UV-VIS spectrophotometer, GC, HPLC, automatic autoclave, viscometer, Lyophiliser, fluro-spectrophotometer etc. :•Be able to design, develop and provide solutions for products and processes in Biotechnology and Biochemical Engineering and allied fields through quality education. •Be able to address challenges in industrial and research areas with socio-ethical responsibilities. • Have strong foundation in Biotechnology and Biochemical Engineering to pursue higher education and research. PO1. Engineering Knowledge:Apply the knowledge of mathematics, science, engineering fundamentals, to the solution of complex problems in Biotechnology and Biochemical Engineering. PO2. Problem Analysis:Identify, formulate, review research literature, and analyse complex Biotechnology and Biochemical Engineering problems reaching substantiated conclusions using first principles of mathematics, natural sciences, and engineering sciences. PO3. Design / Development of Solution:Design solutions for complex Biotechnology and Biochemical Engineering problems and design system components or processes that meet the specified needs with appropriate consideration for the public health and safety, and the cultural, societal, and environmental considerations. PO4. Conduct investigation of complex problems:Use research based knowledge and research methods including design of experiments, analysis and interpretation of data, and synthesis of the information to provide valid conclusions, related to Biotechnology and Biochemical Engineering. PO5. Modern Tool Usage:Create, select, and apply appropriate techniques, resources, and modern engineering and IT tools including prediction, modelling and analysis to complex Biotechnology and Biochemical Engineering activities with an understanding of the limitations. PO6. The Engineering and Society:Apply reasoning informed by the contextual knowledge to assess societal, health, safety, legal and cultural issues and the consequent responsibilities relevant to the professional engineering practice. PO7. Environmental and Sustainability:Understand the impact of the professional engineering solutions in societal and environmental contexts, and demonstrate the knowledge of, and need for sustainable development. PO8. Ethics:Apply ethical principles and commit to professional ethics and responsibilities and norms of the engineering practice. PO9. Individual and Team Work:Function effectively as an individual, and as a member or leader in diverse teams, and in multidisciplinary settings. PO10. Communication:Communicate effectively on complex engineering activities with the engineering community and with society at large, such as, being able to comprehend and write effective reports and design documentation, make effective presentations, and give and receive clear instructions. PO11. Project Management and Finance:Demonstrate knowledge and understanding of the engineering and management principles and apply these to one’s own work, as a member and leader in a team, to manage projects and in multidisciplinary environments. PSO-1: design and develop solutions to environmental and biochemical industrial problems. PSO-2: inculcate entrepreneurial skills to explore the possibilities in Biotechnology with social outlook. The Department of Biotechnology and Biochemical Engineering houses highly sophisticated state-of-art laboratory facilities that cater basic to advance research in Biotechnology, Life sciences and chemical engineering. The laboratories are designed to serve the academic curriculum, research projects and consultancy assignments. This Lab is run in conjunction with the theory course BT201 Fluid flow and Particle Technology. The goals of the experiments aims at the explication of industrial applicability of various techniques ofFluid Flow and Particle Technology in Process Engineering. The facilities includes Manometers, Stokes Law Apparatus, Venturimeter, Orificemeter, Packed bed, Fluidized bed, Pipette analysis, Beaker Decantation, Flocculator, Viscometer, Batch sedimentation test etc. The Research Laboratory of the Department of BT & BCE provides a propitious environment that ensures the participation of faculty and students in research and development. The facility has sophisticated instrumental facilities that support research in emerging areas like bio-nanotechnology, sensor development and validation, molecular biology, bio-processing and environmental remediation. The laboratory houses animal cell culture facility, photoluminescence spectro-photometric equipment and other state-of art facilities. 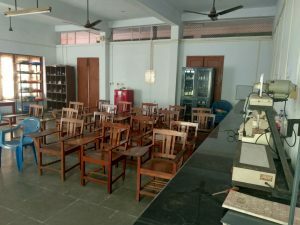 The nanotechnology wing of the laboratory is funded by the BioCARe scheme of the Department of Biotechnology, Government of India and has a dedicated research team working on quantum dot synthesis and allied areas. The facility also supports student internships and consultancy projects in bio-nanotechnology and basic microbiology. The lab is equipped with instruments to give a technical knowhow to students on downstream processing of biomolecules to strengthen the knowledge basic techniques of cell disruption, flocculation, precipitation, protein purification and polishing techniques .The Downstream processing lab is equipped with ultra sonicator, dead end filtration unit, centrifuge, electronic balance, vortex shaker, autoclave etc. In Reaction engineering and Process control laboratory, students will perform experiments to support their theoretical study of Chemical Reaction Engineering and Process Dynamics and Control. The experiments related to Reaction Engineering include Kinetic studies and RTD studies of different types of reactors. The experiments related to Process Control, provides exposure to the dynamic response of various process components namely thermometer, different controllers, level control systems etc. Microbiology laboratory in the department has a unique environment that houses special practices and containment facilities in order to properly protect persons working with microorganisms. Aim of the microbiology lab is to mainly focus on basic principles, safe practices and morphological characters of different types of cells. Specific experiments address topics in microbial isolation, quantification and characterization. The laboratory has basic devices, equipments and instruments needed in Microbiology experiments such as microscopes, hot air oven, laminar air flow, incubator, refrigerator, centrifuge, autoclave, chemicals including media and consumables. 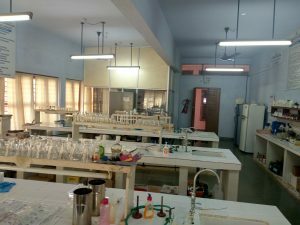 In the biochemistry lab, the students will have an opportunity get acquainted with various reagents, equipments and experiments for the qualitative analysis and quantitative analysis of various biomolecules. Schematic qualitative analysis of carbohydrates (mono, di and polysaccharides), amino acids and proteins, and qualitative estimation of proteins, amino acids, DNA, RNA and lipids are carried out independently by the student. Overall the students will be exposed to various instruments used in analytical labs for the analysis of biological samples by qualitatively or quantitatively. Also they will be familiarizing with the general terminologies used in IMA such as calibration, precision, accuracy, resolution etc. Students will get an idea about UV spectra of Nucleic acids, Beer’s-Lambert’s law and calculation of Absorption maxima. The second part in the lab includes separation of amino acids by paper chromatography, identification of nucleic acids by gel electrophoresis, estimation of turbidity using spectrophotometer etc. The Bioprocess Engineering Lab explore hands-on experience on the isolation and purification of various important enzymes (urease, amylase etc.) used in Bioprocess Industry. Further, they may study the effect of various environmental factors (pH, temperature, substrate concentration etc.) on enzyme activity under laboratory conditions. The second part the lab provide an idea about microbial growth curve, importance of immobilization technique, Residence Time Distribution (RTD) studies and estimation of total sugar and phenol content in wine sample. To provide students with a practical and hands-on experience with common bioinformatics tools and databases. Students will be trained in the basic theory and application of programs used for database searching, protein and DNA sequence analysis, prediction of protein function, and building phylogenetic trees. Through practical exercises, students aquire a basic competences in the use of bioinformatical tools. The lab emphasizes the the learning of bioinformatical tools in light of the student’s knowledge of molecular biology. This lab is equipped with 20 systems with all the necessary programming software like C++,MATLAB, ChemCADD, DWSIM Simulator etc. 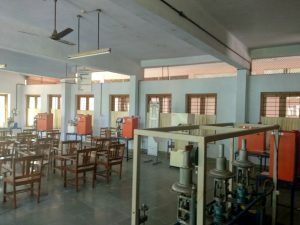 The laboratory has facilities for students to have internet access. 1. Dr. Malu Ravi and Ms. Sheigha Pappachan received KSCSTE fund for the project proposal “Conversion of egg fruit to nutritional drink and study of its neuroprotective and antimitotic properties”, dated 23.09.2016 (for 6 months). 3. 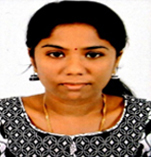 Ms. Reshma S (CGPA: 9.8) is the University topper in the BTech Batch 2016-2020 in the University examinations held by APJ Abdul Kalam Technical University, Kerala. 4. 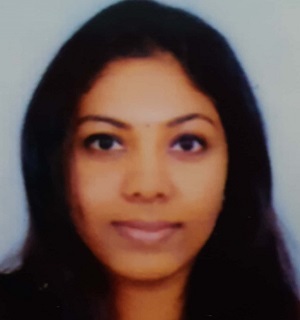 Ms. Anju C S, (MTech Batch 2015-17) has secured First rank in Biotechnology & Biochemical Engineering Postgraduate course offered by APJ Abdul Kalam Technical University. 5. 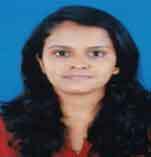 Ms. Anju C S, (MTech Batch 2015-17) secured First place for paper presentation in a two day national conference on Eco-Friendly Technological Innovations for Sustainable Development (NCETISD) under the conference series E2F2 (Engineering Education for Facing the Future) conducted in Sree Buddha College of Engineering, Pattoor. 6. Mathew Joseph, Nayana U Krishnan, Vani P V, Shafna S, Anju J, Drishya G Chandran, Simi S Ebenzer and Badarudheen P A of ( S8, Batch 2013-17) received Best Paper award for paper presentation at ‘Parichay-2017’, a National Level Symposium organized by Department of Biotechnology Engineering, NMAM Institute of Technology, Udupi, Karnataka. 7. Betsy Ann Varghese, Narayanan Nampoothiri V. P, Aswathy P and Reshmi Thankappan (S8, 2013-17 Batch) won Best Paper award at National Level Technical Fest, ‘Colloqium’ organized by Mohandas College of Engineering, Thiruvananthapuram. 8. Anju J, Drishya G Chandran, Simi S Ebenzer and Badarudheen P A (S8, Batch 2013-17) also earned special mention at the National level symposium on Trends and prospects in Bioscience and Technology Towards Sustainibility , ‘Equilibria 2017′, organized by Sree Chithra Thirunal College of Engineering, Thiruvananthapuram. 9. 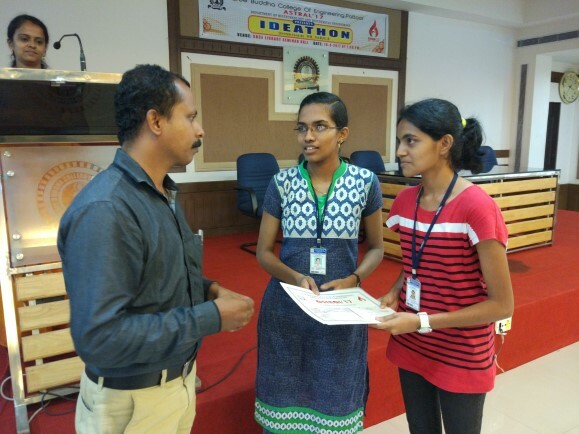 Gayathri G Kurup and Malavika Mukesh have participated in prototype exhibition conducted at Infopark, Kerala. 10. Gayathri G Kurup and Malavika Mukesh have attended summer training at the Department of Biosciences and Bioengineering, Indian Institute of Technology, Guwahati. 11. 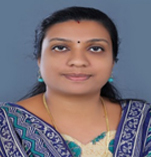 Extramural Research Grant : Dr. Jaya Mary Jacob, Assistant Professor, Department of Biotechnology & biochemical Engineering has received extramural research grant worth Rs. 48.48 Lakhs from the Department of Biotechnology, Government of India under the Biotechnology Career Advancement and Re-orientation Programme (Bio-CARe) for women Scientists. Under this scheme research activities on biotechnology interventions for quantum dot synthesis and their application for biosensor development is underway. 12. 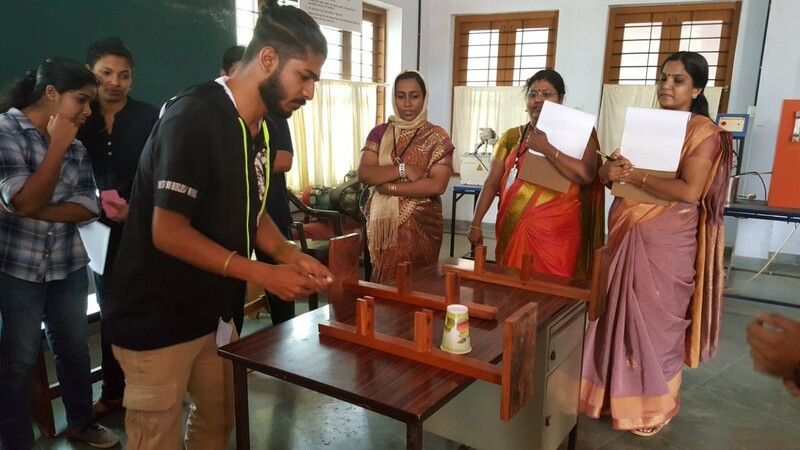 Sony K Cherian, Malavika Aji, Abhay J Mohan and Baliyapaadath Isaac Nixon secured Kerala start-up mission’s fund for prototype design of HALO WATERFILTERS project combined with college IEDC unit. 13. Ms. Merin Sara, Ms. Abitha, Ms. Aleena Jacob and Ms. Sruthy, students of S8, B Tech Biotechnology and Biochemical Engineering won first prize for Innovative idea on Nano-engineered Tissue Paper towel product under the guidance of Dr. Jaya Jacob during the Ideathon contest organized by EC department in association with ETA Cell and IEDC, SBCE. 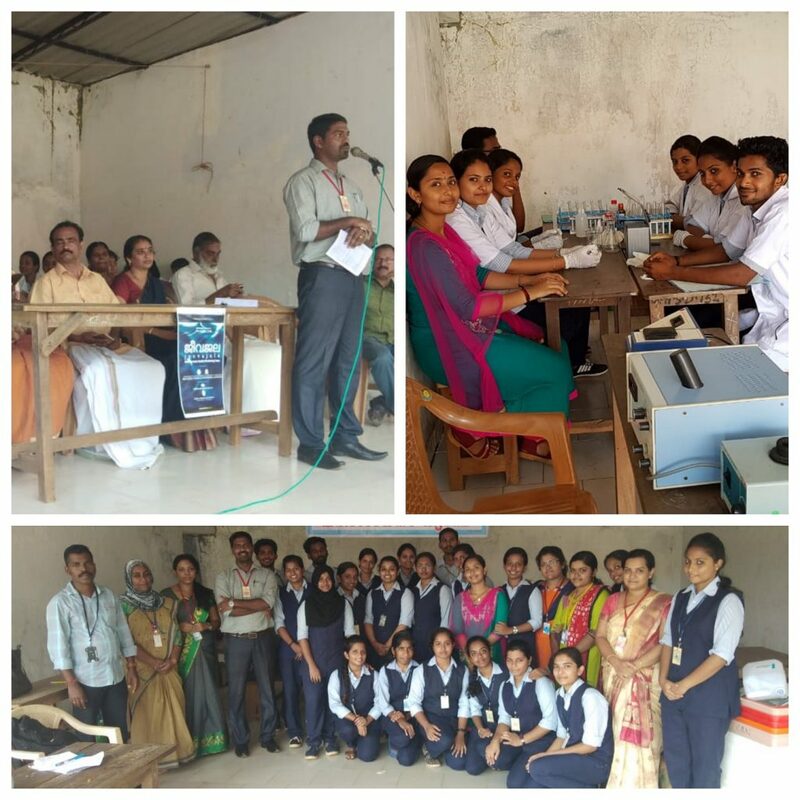 Under PRABHODANA-“Enlightenment through Science”, a programme jointly organized by the Kerala State Council for Science, Technology & Environment and Sree Buddha College of Engineering, under Science Popularization Scheme conducted an invited talk on “Efface our e-waste” on 19th September 2018 at Pope Pius higher secondary school, Kattanam. The programme has the objective to evaluate and analyse the disposal behaviour and public perception/awareness on E-waste. Sree Buddha College of Engineering, Pattoor celebrated the 51st Engineer’s day on September 18, 2018. 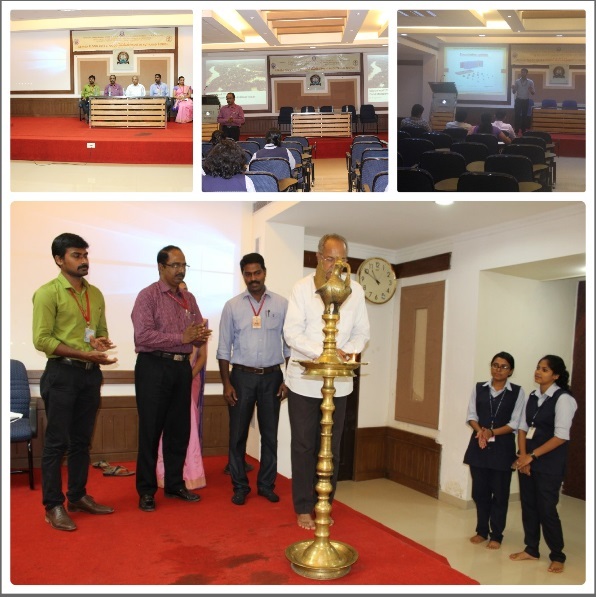 The Institution of Engineers (India) students Chapter of Department of Biotechnology and Biochemical Engineering, Sree Buddha College of Engineering and The Institution Of Engineers (India) Kollam Local Centre jointly organized a one-day Seminar on the topic “Kerala Flood 2018 & Flood Management in Kuttanad Region” as part of the celebration. Dr. J R Anoop Raj, Head, Department of Biotechnology and Biochemical Engineering welcomed the gathering and the function was inaugurated by Shri.K. K. Sivadasan, Treasurer Sree Buddha Educational society. The invited speaker for the day was Dr. Gopakumar R, Professor, Department of Civil Engineering, Sree Buddha College of Engineering Pattoor. Mr. Madhav K (IE(I), College Coordinator) felicitated the program and Dr. Malu Ravi proposed the vote of thanks. The lecture was followed by ideathon contest for the students on the theme “Kayakalpa- An ode to mother nation”. A one-day seminar titled “Environmental Management Systems and Environmental Friendly Technologies and Total Quality Management and Statistical Quality Control Techniques focusing on zero defects” was organized for the Second and first year M.Tech students under the banner of “PGIF” on 16.03.2016. Sri. S. VENUGOPAL, Deputy General Manager, HLL Life Care Ltd (Govt. 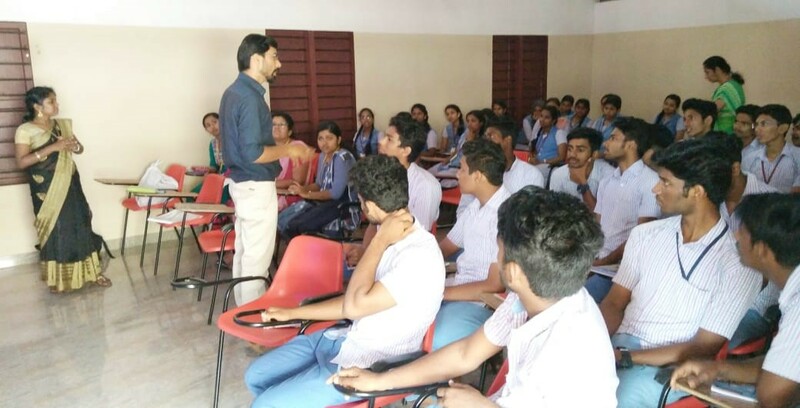 of India Enterprise) conducted the session wherein he gave guidance to students regarding various quality control techniques. 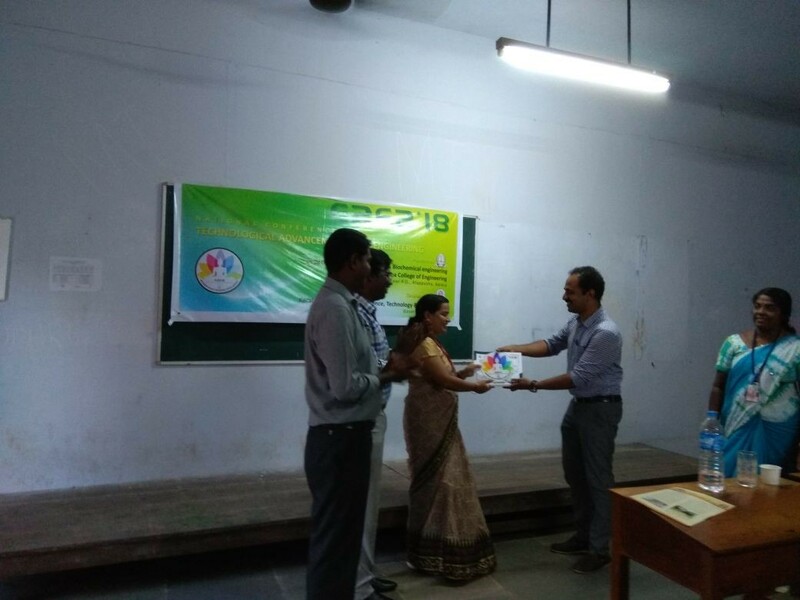 He gave a brief idea about environment Management systems Ms. Sheigha Pappachan of 1st year M. Tech BT & BCE gave the vote of thanks expressing gratitude to the participants and the resource person for the session. The students found the experience to be informative and enlightening. A one-day seminar titled “The Recent Trends of Nanotechnology” was organized for the Second and first year M.Tech students on 28.10.2016. Dr. Renu Geetha, Nottingham Trend University, Malaysia Campus conducted the session wherein she gave guidance to students regarding the use of nanoparticles and its application. She gave a brief idea about the opportunities of biotechnological research in India and abroad. Dr. Manoj Narayanan proposed the vote of thanks. The entire session was simply fruitful and eye opening. Department of Biotechnology and Biochemical Engineering, Sree Buddha college of Engineering conducted a 2 months course (January 23rd – March 23rd, 2017) on “Food processing and preservation”. The objective of this course was to encourage skill development for people by providing a creative and outstanding training program. In this course, the participants were taught to make different food products and techniques for preservation. A batch of ten students has successfully completed the course and their certificate distribution was done on 10th May 2017. Sri. Sreekumar E N welcomed the gathering and presidential address was given by Sri. K K Sivadasan. Dr. S Suresh Babu made Principal’s address followed by certificate distribution by Sri. 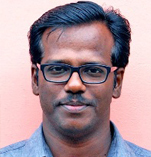 P Asokan Nair (Hon. President, Nooranad Grama Panchayat). The ceremony came to an end by a vote of thanks given by Ms. Rincy Susan Raju. The resource persons for the course were the faculty of the Department of BT & BCE. The invited talk was primarily intended to create a powerful platform where young minds throw in their ideas in the brainstorming squads and collectively work out creative solutions to a real world problem! The objective of the session was to catalyze students from all fields of study to learn more about the complex challenges prevailing in the world, like food, education and health and inspire them to channel their passions and creativity towards developing new ideas that make a difference. Talk was conducted on 19/04/2017 by the Department of Biotechnology and Biochemical Engineering, SBCE. 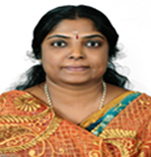 The welcome address was delivered by Dr. Jaya Mary Jacob. The students found the experience informative and enlightening. A one-day seminar titled “Hazard identification and Risk Assessment” was organized by Biotechnology Union for Development of Society (BUDS) on 18.01.2017. The session was lead by Dr. G. Madhu, Professor,Division Of Chemical Engg.,School Of Engineering. He gave a comprehensive talk on various methods of hazard identification and methods of risk analysis and assessment. The program was inaugurated by Dr. Giridhar R Nair, Head of the Department, Department of Biotechnology and Biochemical Engineering, SBCE Pattoor. Mr. Narayanan Nampoothiri V P, BUDS student representative, delivered the vote of thanks. The program was highly informative and inspiring. A one day seminar ‘ A E K A- Crafting the biotechnology based entrepreneurship was organized by the Innovation and Entrepreneurship Development Centre & Department of Biotechnology and Biochemical Engineering on 15th September 2017. The core team from AEKA Biochemicals Pvt. Ltd- the first fully women owned biotechnology company in Kerala, addressed the undergraduate and post graduate students in Biotechnology and Biochemical Engineering regarding the various aspects of Biotechnology based entrepreneurship. Ms. Aardra Chandra Mouli, the founder and managing Director of AEKA shared her experiences in her journey towards the genesis of her successful start-up venture. In her address, Ms. Mouli unveiled the incessant career prospects in the field of biotechnology research and development and indicated that Kerala is already a hub to biotechnology start-ups. The students also had an interactive session with Dr. Aruna and Ms. Sinu Sunny, who briefed them about the various aspects in the research and production units of a biotechnology firm. An active participation was noted from the students throughout the session and the students had raised several queries to the resource personnel regarding the upcoming opportunities in the field and the stages in the growth of a start up. 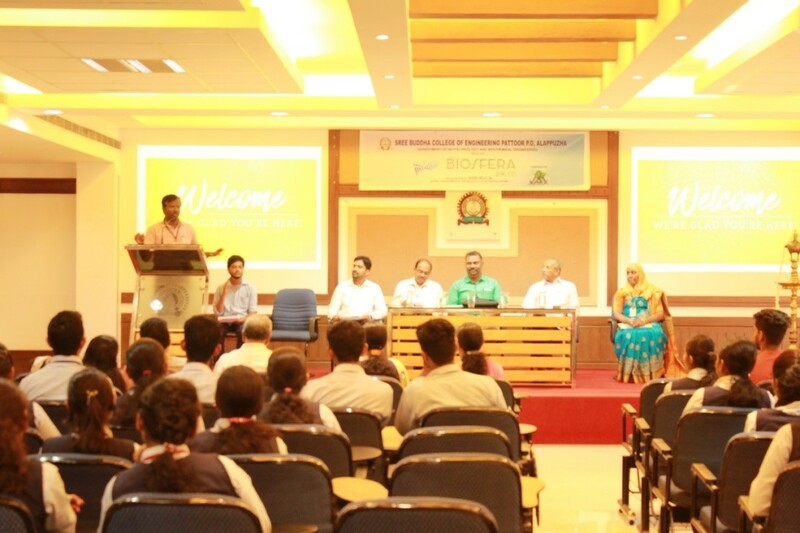 The Institution of Engineers (India) students Chapter of Department of Biotechnology and Biochemical Engineering, Sree Buddha College of Engineering and The Institution of Engineers (India) Kollam Local Centre jointly organized one day Seminar on the topic “Environmental Challenges-ways to connect with nature” on 5th June 2018 in the seminar hall, Civil Block, SBCE, Pattoor. Dr. Thankamony (Retd) of the Environmental Engineering Division of College of Engineering, Thiruvananthapuram (CET) (Indira PriyadarshiniVrikshamitra Award winner a national honour for tree lovers, for the year 2002) inaugurated the function. Subsequently, Er.Sivadasan.K was inaugurated a good initiative from the college students – bottle gardening and plantation of medicinal plants in the reusable plastic bottles. The Dept. of Biotechnology and Biochemical Engineering has conducted one day technical expo “Biosfera-2k18”on 9th March 2018 in the conference Hall, Library block. Biosfera 2k18 focuses on accentuating the role of biotechnology and its interventions in daily life. The event includes student project exhibitions, demonstrative project expo, Stem cell collection and awareness program, technical talk on “Eco conservation of water bodies”, Awareness class on fire and rescue services and several other forums that highlight the importance of biotechnology for sustainable development. 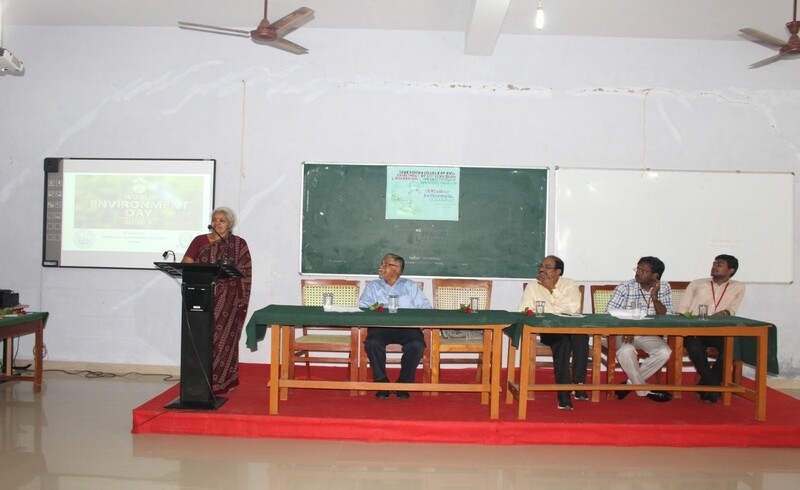 Biosfera 2k18 was inaugurated by Er. Biju Balakrishnan ,District Environmental Engineer, State Pollution Control Board (Thiruvanathapuram), The felicitations was proposed by Shri. K K Sivadasan, Treasurer, SBEC; Aby Sam John, HEAD- Donor Recruitment & Counseling, DATRI Blood Stem Cell Donors Registry. Ms.Shamnamol G K presented the BUDS activity report of academic year 2017-18. BUDS secretary Mr.Arun M P proposed vote of thanks. The Department of Biotechnology & Biochemical Engineering has organized E2F2 series under the main theme of Technological Advancement in Bioengineering on 17-18 April 2018. The conference was aimed to provide insight on areas like Agriculture Biotechnology, Biomaterials, Biomedical Engineering, Bio nano-technology ,Bioprocess Engineering, Catalysis and Reaction Engineering, Energy and Environmental Engineering. We had 11 participants and they presented their papers and 19 participants were registered as coauthors. Prof.Fazil A, Asst.Professor, Department of Chemical Engineering, TKM college of Engineering, Kollam was an external judge for the evaluation of paper presentation. 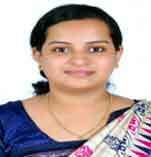 The session was chaired by Ms.Meera Bai S, Asst.Professor, Department of BT&BCE, SBCE,Pattoor. Ms.Rincy Susan Raju (Faculty) won the best paper award and Ms. Sruthi Rajan (PG Scholar) secured second best paper award. The certificate and memento were distributed by Dr.Manoj Narayanan, HoD, and Department of BT&BCE. As part of ASTRAL 2K18, Biotechnology and Biochemical Engineering Department has organized mainly 4 events like Aventura, Ideathorn, Questionnaire, footmaestro, Transfusion music on 7th -9th March 2018. “QUESTIONNAIRE”, a quiz competition to find the general and technical knowledge levels within the students. Aventura the event was a game based on basic chemistry knowledge and it involved participation of B-Tech students from various colleges. The game consisted of three rounds. A non technical event named foot maestro (footsal) was conducted as a part of techno cultural fest Astral 2K18. Football Maestro is a futsal competition. Futsal, or futsala, is a variant of association football played on a hard court, smaller than a football pitch, and mainly indoors. The Biotechnology Union for Development of Society (BUDS), Department of Biotechnology & Biochemical Engineering, Sree Buddha College of Engineering, Pattoor organized a two day workshop “Biotechnological interventions in the current world” on 21-22, May 2018. This two day workshop focused on accentuating the role of biotechnology and its interventions in daily life. The students who participated were from 10th,11th and 12th classes of the near schools. Dr Renu G, Post Doctoral fellow at American University of Sharjah inaugurated the program and gave a talk on Recent trends in nanotechnology. Treasurer K.K Sivadasan felicitated the program. Dr J.R Anoop Raj, (Head of the department) gave a talk on Recent trends in Biotechnology. 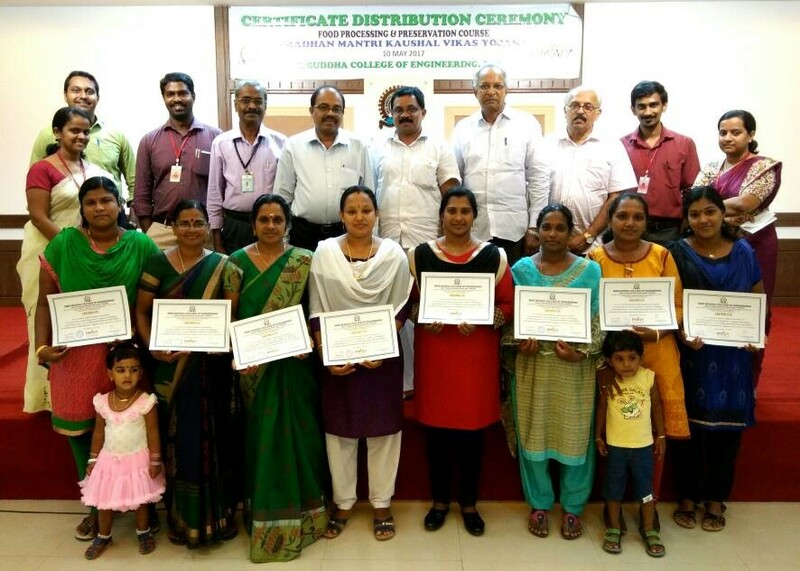 On the second day Principal, Dr. S Suresh Babu distributed the certificates for the students. The student association of the Department of Biotechnology & Biochemical Engineering, ‘BUDS’ (Biotechnology Union for the Development of the Society) aims at nurturing the student leadership and overall personality development. 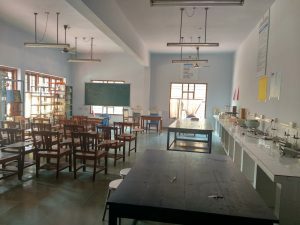 As its name suggests, the motto of BUDS has been to encourage and promote activities beneficial to both the students of SBCE and the people of the neighborhood. Right from the inception, the association has been keen in organizing several state level and national seminars and workshops bringing in eminent personalities from Research organizations and industries all over. Gauri Chandra and J R Anoop Raj (2017). “Biodiesel production from ayurvedic waste oil using single stage alkali transesterification process”, International Journal of Science and Innovative Engineering and Technology, Vol. 3, May issue ISBN 978-81-904760-9-6. LIST OF PUBLICATIONS IN CONFERENCE PROCEEDINGS DURING LAST FIVE YEARS (Authors Names, Title Of Paper, Name of The Conference, Volume, Page Nos., Year). Manoj Narayanan,Mineralization of pesticides using Green synthesised Zinc Oxide nanoparticles from Simarouba glauca and its applications in pesticide removal, FESTA 2018, International conference, NIT Trichy, May, 2018. Lekshmi R Babu, Sharon Mariam Jacob, Nandhana A, Anandhu A S, Varna S, Ecosynthesis of nano silver and its application in sustainable development, International Conference on Advanced Nano Structures, ICAN 2018 , Catholicate College, Pathanamthitta, Kerala from 12-14 March 2018. Anju C S, Manoj Narayanan and Giridhar R Nair. Greener Synthesis Of Magnetic Iron Nanoparticles By Using Leaf Extract Of Annona Muricata (Mullatha) And Its Application As A Biosorbent For Removal Of Methylene Blue. International conference on advances in biotechnology and biotherapeutics (ICABBS-2017), Sathyabhama University, Chennai, India, 8-10thMarch 2017. Anju J,Badharudheen P A,Simi S Ebenzer,Drisya G Chandran,Manoj Narayanan. “Spent Oil As A Potential Precurssor For Biodiesel Production” National level student symposium (PARICHAY 2017) organised by NMAM Institute of Technology, Nitte ,Udupi,Karnataka held on 18th February 2017. Chinchu Chandran, Manoj Narayanan and Giridhar R Nair. Investigation Of Plant Leaf Extract As Mediators For Laccase In The Deinking Of Paper. International Conference on Science and Innovative Engineering, Jawahar Engineering College, Chennai, 2ndApril 2017. 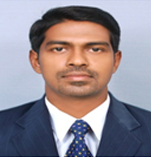  Kousalya R, Manoj Narayanan Leaf Eextract mediated synthesis of Silver nnoparticles from Simarouba glauca: synthesis, Characterization,Antibacterialactivity, Toxicity analysis and antioxidant activity International Conference on Advances in Biotechnology and Biotherapeutics (ICABBS-2017) organized by Sathyabhama University during 8th -10thMarch 2017. Vidya S, Chinchu Chandran, Meera Bai S. Dye Decolourization Using Fungal Laccase: A Review. International Journal of Innovations in Engineering and Technology (2017), Volume: 8, Issue: 1, pp: 118-123. Gayathri G Kurup, Malavika Mukesh, Vrindha R,Swathi and Shamnamol G K. Eco friendly manufacture of Biodiesel & Dihydroxy acetone from waste ayurvedic oil. TECHFEST-2017 organized by KSCSTE and APJ Abdul Kalam Technological University during 13-14 January 2017. Basil Joseph, Harsha Haridas, Anju A V and Shamnamol G K. Bio-colour extraction from Ixora coccinea and its optimization. National level student symposium (PARICHAY 2017) organised by NMAM Institute of Technology, Nitte ,Udupi,Karnataka held on 18thFebruary 2017. Manisha L, Shamnamol G K. Characterization of Ash extract from Banana Empty Fruit Bunch. National seminar on (BIOMEET 2017) organized by The post graduate and Research Department of Chemistry (DST-FIST supported) held on 15th-17th February 2017. Manisha L , Shamnamol G K. Utilisation of green energy from waste banana fruit bunch for the production of natural shampoo. International Conference on Advances in Biotechnology and Biotherapeutics (ICABBS-2017)organized by Sathyabhama University during 8th-10th March 2017. 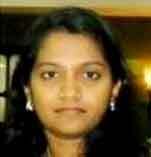 Sharen K Jose, Lekshmi R BabuBiosynthesis of Silver Nanoparticles from leaf extracts of Cassia fistula and Mangifera indica: Comparative study, characterization, antimicrobial activity and toxicity analysis International Conference on Advances in Biotechnology and Biotherapeutics (ICABBS-2017)organized by Sathyabhama University during 8th -10thMarch 2017. Sharen K Jose, Lekshmi R BabuGreen synthesis of Silver Nanoparticles from leaf extracts of Cassia fistula and Mangifera indica: Comparative study and antimicrobial activity, National seminar on (BIOMEET 2017) organized by The post graduate and Research Department of Chemistry (DST-FIST supported) held on 15th -17th February 2017. Amritha Chandran , Anoodha S , Harikrishnan C B , Jamiema S P , Lekshmi R Babu, Study of Anti-diabetic properties of aloe vera/ NMAM Institute of Technology, Nitte ,Udupi,Karnataka held on 18thFebruary 2017. Malu Ravi, Archana Geeth, Jency John, Jyothish Viswanath and S.Lichindath. Identification and application of green corrosion inhibitor, tamarind leaf extract, on mildsteel in acidic environment. National Symposium on Trends and prospects in Bioscience and Technology towards sustainability organized by SCT, Thiruvananthapuram during 28-29, April 2017. Sheigha Pappachan, Giridhar R Nair and Malu RaviNeuroprotective potential of Egg fruit (Pouteria campechiana) phytochemicals, International Conference on Advances in Biotechnology and Biotherapeutics (ICABBS-2017), Sathyabama University, Chennai, India, 8th-10th March 2017. Thrishna K G, Giridhar R Nair and Malu Ravi. Production of oxalic acid from Aspergillus nigerutilizing cassava rind as nutrient source,International Conference on Advances in Biotechnology and Biotherapeutics (ICABBS-2017), Sathyabama University, Chennai, India, 8th-10th March 2017. Jency John, Archana Geeth, Jyothish Viswanath and Malu Ravi. Tamarind (Tamarindus indica)leaf extract as green corrosion inhibitor for mild steel, National Level Student Symposium “Parichay 2017” organized Department of Biotechnology Engineering., NMAMIT, Nitte on 18thof February 2017. Sheigha Pappachan, Giridhar R Nair and Malu Ravi. Biochemical characterization of egg fruit (Pouteria campechiana) and study of its antibacterial activity against MRSA (Methicillin Resistant Staphylococcus aureus) andcoli, 29th Kerala Science Congressconducted by the Kerala State Council for Science, Technology & Environment (KSCSTE), 28–30 January, 2017. Mathew T J, Nayana U K, Shafna S, Vani P V, Anoop Raj J R. Optimisation of biodiesel (ethanol) production from whey and characterisation of bio-edible films from the fermentation residue, BEST2017,Arunai Engineering College, Tamilnadu, India. Mathew T J, Nayana U K, Shafna S, Vani P V, Anoop Raj J R. Optimisation of biodiesel (ethanol) production from whey and characterisation of bio-edible films from the fermentation residue; International Journal of Environment and Sustainable Development. Gauri C Chandra,Anoop Raj J R. Biodiesel Production from Waste Ayurvedic Oil ; KETCON17;Mar Athanasius College of Engineering, Kerala. Abhilasha Parthan, L Padma Suresh and J R Anoop Raj. 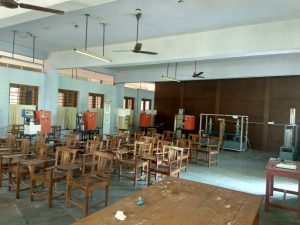 A Brief Review on Torque Control of Induction Motor, International Conference on Circuits Power and Computing Technologies [ICCPCT], Baselios Mathews II College of Engineering, Kollam during 20 Apr – 21 Apr 2017. Aswin Kumar, Athira R Nair, Ashitha S, Sajina Hussain Rincy Susan Raju.Characterisation of Bioactive components from petiole two varieties of Colocasia seen in Kerala, National level symposium on Trends and prospects in Bioscience and Technology Towards Sustainability , EQUILIBRIA 2017 April 17-18 .Sree Chithra Thirunal College of Engineering,Trivandrum. R Remya, S Suryalekshmi, Nithya V. Pillai, Aarya G. Krishna,Ammu Rachel John, “Comparative study on the production of Bioethanol from different fruit waste. (Banana & Pineapple)”, Second International conference on Bioenergy, Environment & Sustainable Technologies, Proceedings page No. 41-43,2015. 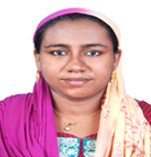 Meera Bai.S, Ramachandran Nellickal, Study of kinetics of cell growth and protease enzyme production from Bacillus Subtilis, International Conference on Advances in Chemical Engineering and Technology14, 2014, pp:165-168. Jency Blesson, Asst Professor, BT&BCE presented a paper based on her research in “5th World Congress on Bioavailabity and Bioequivalence: Pharmaceutical R&D Summit during Sep 29 – Oct 0 1, 2014 at Baltimore, USA on the topic “Synergism of antibiotics and plant extracts in Antibacterial Activity against Methicillin Resistant Staphylococcus aureus”.